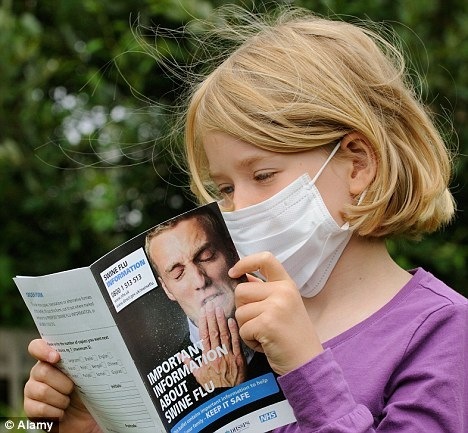 Threats of a swine flu pandemic were 'vastly over-rated' by the World Health Organisation, an inquiry has concluded. The Council of Europe last night also accused the UN's health arm of 'grave shortcomings' in the process that led it to declare a pandemic last year. Plummeting confidence in health advice could prove 'disastrous' in the event of a severe future pandemic, parliamentarians at the Strasbourg-based senate said. The assembly also accused the WHO of being 'highly defensive' of its handling of the outbreak and drugs companies of influencing the decisions taken. Members, including five British MPs, voted overwhelmingly in favour for greater transparency in public health decisions. It wants governments to 'ensure that the private sector does not gain undue profit from public health scares' and drug companies to revise their rules to ensure any potential conflicts of interests are made public. The debate and recommendations follow a report which described the declaration of the H1N1 pandemic as a ' monumental error' driven by drug companies - spreading fear and wasting huge amounts of money. Paul Flynn, the British MP who led the Council Of Europe probe, described it as 'a pandemic that never really was'. Mr Flynn said predictions of a 'plague' that would wipe out up to 7.5million people proved to be 'an exaggeration', with fewer than 20,000 deaths worldwide. Britain braced itself for up to 65,000 deaths and signed vaccine contracts worth £540million. The actual number of deaths was less than 500 and the country is now desperately trying to unpick the contracts and unload millions of unused jabs. Pharmaceutical companies, however, profited to the tune of £4.6billion from the sale of vaccines alone. The WHO has firmly rejected all the criticism, saying the outbreak fitted the criteria for a pandemic - and to claim otherwise was disrespectful to those killed by the virus and their families. It also takes the view that not all ties to drug companies are necessarily conflicts of interest. This page contains a single entry by sal published on June 30, 2010 1:01 PM. The Marvellous Health of Unvaccinated Children was the previous entry in this blog. AP IMPACT: Millions of vaccine doses to be burned is the next entry in this blog.